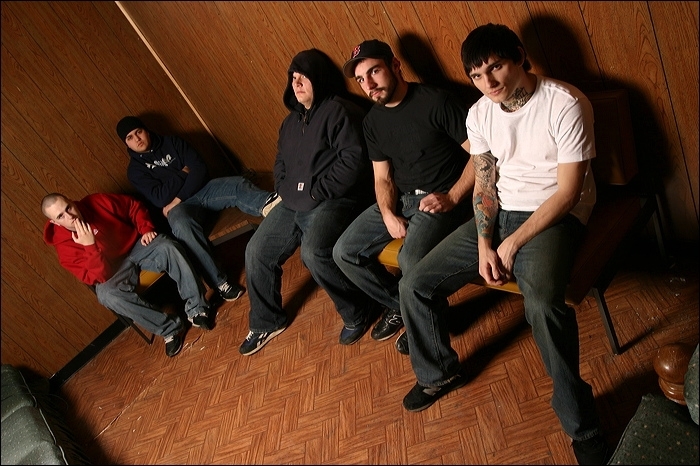 This Boston 5-piece metalcore band formed in early 2001 and have been compared to groups like Converge, Poison The Well, Every Time I Die, Eighteen Visions and Glassjaw. 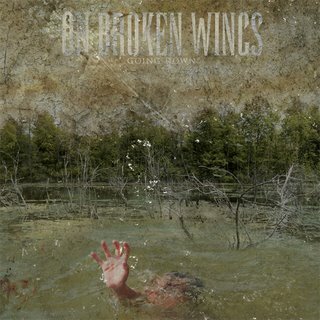 On Broken Wings create a mood of hostility and despair with their self-labeled brand of "mosh-metal." What sets OBW apart from the pack is the atmosphere which haunts each song, punctuated by vocalist Jonathan Blake's range. In one moment, Blake is the growling demon in your head, while in the next he is showing off his surprisingly sensitive singing voice. OBW has spent the last 3 years making a name for themselves on the road with their chaotic live show, and will be on the road this fall opening for Kittie. 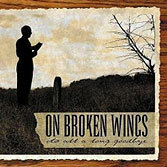 On Broken Wings has released 2 CD's with Eulogy. The first, entitled SOME OF US MAY NEVER SEE THE WORLD, was released in 2003. In early 2007 On Broken Wings announced that they were on an indefinite hiatus, mostly citing their interest in other projects as the reason for the break. Soon after, Eulogy released the band's final CD, an EP titled "Going Down". The EP contains the original Number One Beautiful EP as well as 4 new songs. They announced a final west coast show for May 5, 2007 in Ventura, California supporting Earth Crisis for their much publicized reunion show. On Broken Wings have stated that there will be a final show on the east coast, but a date and venue has yet to be officially set.